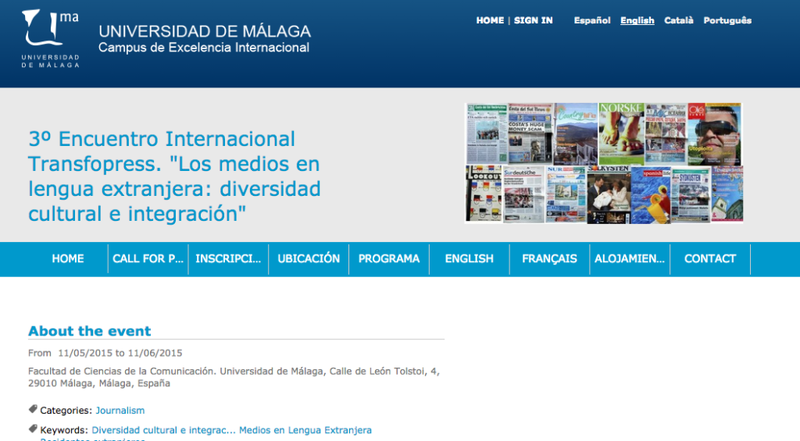 The organization of the 3rd Conference of the international network Transfopress by the University of Malaga on the topic of cultural diversity and integration represents a new stage in the process of internationalization of the Communication Science Department and a major academic and scientific milestone for worldwide specialists of the media. 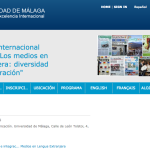 After the 2014 São Paulo (Brazil) conference, the Malaga (Spain) meeting will be the second organized outside France, the birthplace of the network. The complexity of this major phenomenon, in a context of technological development which causes constant modifications of older forms of communication, as well as its importance for our understanding of the mechanisms of identity construction in the current process of globalization, will be essential questions discussed during the 3rd Conference of the Transfopress Network.